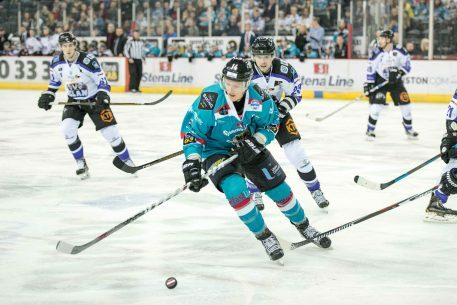 The Stena Line Belfast Giants narrowly lost out to the Braehead Clan, 2-1, on Saturday night in Belfast. 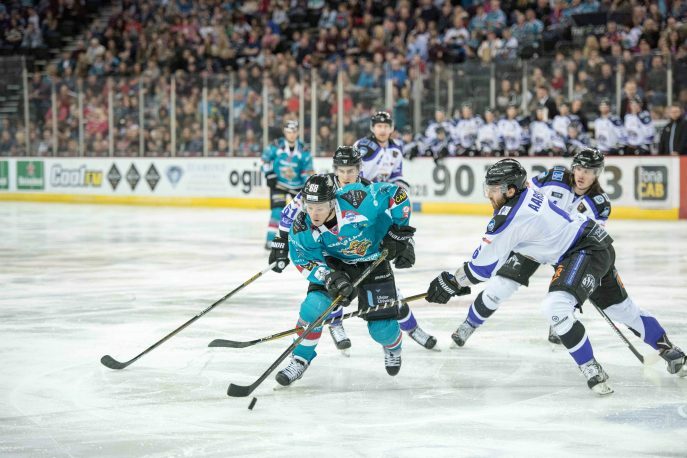 Despite a late revival through a Chris Higgins goal, the Giants were unable to breakdown the Clan and continue their recent run of winning results. The Clan took the lead at a sold out SSE Arena as Brendan Brooks scored shorthanded for his 21st goal of the season at 7:26 to give the visitors a 1-0 lead after the opening 20 minutes. 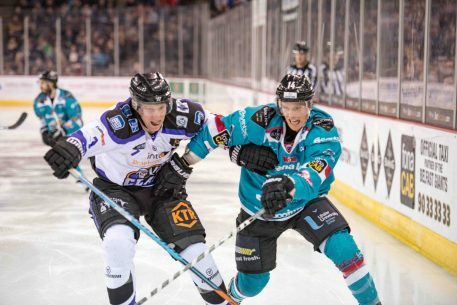 Alex Levitt doubled the Braehead lead at 23:56 for his 22nd goal of the season despite the home side dominating possession and shot-count. 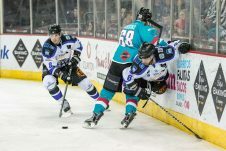 The Giants were unable to find a way past a resolute Clan defence starring Chris Holt with the netminder keeping the hosts at bay in seven powerplay opportunities. 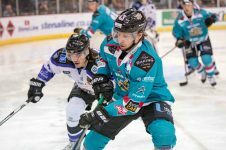 Chris Higgins gave the home crowd some late hope as he redirected Mitch Ganzak’s shot from the blueline into the Braehead net at 55:47. 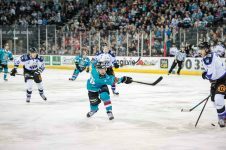 However the clock ran out and the Giants fell to their first league defeat in seven games. 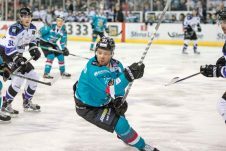 The Stena Line Belfast Giants are next in action next weekend in Wales with back-to-back games next Saturday and Sunday against the Cardiff Devils.